Sunday Sept. 29 Join City Church in the cafeteria at noon for the Fourth Sunday Fellowship Lunch. This month the church is providing hot dogs, rolls, the condiments and beverage. Sign up to bring a dish, or dessert. All are welcome! Women of City Church are cordially invited to join together each Friday morning at 10:00 for an hour of prayer at the home of Sue Peck. We will begin each Friday morning promptly at 10:00 with some words of encouragement, followed by 45 minutes of prayer. Child care is available. Contact Sue Peck for more details. Men are invited to Central Family Restaurant on Wednesday mornings at 6:30 am for food and fellowship. Contact Jon Allen for more details. Covenant groups are meeting each week in homes around town. Visit the Church Website, or talk to others within the congregation to find out which groups are meeting near you and when. Youth weekday sport classes are also offered this fall for boys and girls ages 4-8 beginning September 17th. 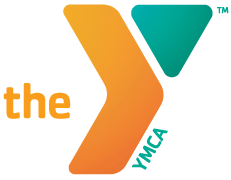 For more information, contact Doug Markel atdmarkel@yorkcoymca.org or 717-843-7884.